Note:Agent Orange is one of the herbicides and defoliants used by the U.S. government as part of its herbicidal warfare program, Operation Ranch Hand. Agent Orange was one of a class of color-coded herbicides that U.S. govt sprayed over the rural landscape in Vietnam from 1961 to 1971. It used to take away jungle cover for the National Front for the Liberation of South Vietnam (NLF) on the ground. Agent Orange released most dioxins. Its manufacturers claim that they told the government that dioxin was a by-product of Agent Orange when the US government first purchased it to be used in Vietnam. Between 1962 and 1977, 77 million litres of chemical defoliants were sprayed over South Vietnam, the most widely used being Agent Orange. The spraying of Agent Orange was indiscriminate in that there could be no control over where it specifically landed. It was used in the mountainous region along the Vietnam/Cambodia border. Vietnam veterans received a settlement of $180 million from the companies that manufactured Agent Orange in 1984. As US troops had gone into areas where Agent Orange had been dropped, they too were exposed to its dangers. The ex-troops from Australia, New Zealand and Canada were also given compensation. Vietnam Ministry of Foreign Affairs claim that about 5 million people became the victims of Agent Orange. High exposure to its dioxins caused cancer and a variety of genetic problems – many of which manifested themselves in children born to mothers who were affected by these dioxins. It is not known whether there has been any research in Vietnam into the long-term effects of low-level exposure to the dioxins of Agent Orange. 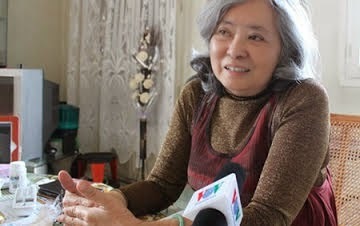 Nga, 73, became a war correspondent for the Liberation News Agency after graduating from university in Ha Noi in 1966. Her work took her to some of the most heavily AO/dioxin-contaminated areas in southern Viet Nam such as Cu Chi, Ben Cat and along the Ho Chi Minh Trail, ultimately experiencing the effects of contamination. Her first child died of heart defects and her second suffered from a blood disease, likely results from her earlier exposure to the toxin. In 2009, Nga, who contracted a number of acute diseases, appeared as a witness at the Court of Public Opinion in Paris, France against US chemical companies. The complaint and related documents were handed over to the Crown Court of Evry city and to the 26 named US companies, 12 of which have hired lawyers. During the first day of trial, judges of the Crown Court of Evry questioned the 24 defence lawyers. In France, a number of talks and film screenings about the harmful effects of AO on Vietnamese people and environment are ongoing.